Gary graduated with a BA in Psychology from the University of Strathclyde, and then worked as a researcher in psychology for several years before undertaking postgraduate study in Canada. He completed an MSc in Counselling Psychology at the University of Calgary, specialising in substance misuse. 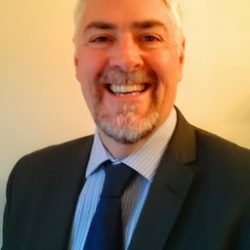 Returning to Scotland in 1996, Gary has worked within the NHS at Dykebar Hospital in Paisley and Aberdeen’s Royal Cornhill Hospital, before moving to NHS Lanarkshire in 2001. He was Clinical Director of Addiction Services until 2012, when he became Clinical Director and Head of Psychological Services. Gary sits on the Improvement Audit and Risk Committee. In 2005, Gary obtained his doctorate in psychology, completing a thesis exploring what drives people to use heroin. He maintains a keen interest in research, and has presented at conferences in the UK and internationally. Gary is the British Psychology Society’s Lead Assessor in Substance Misuse for the UK, and an Assessor in Clinical and Counselling Psychology for the Health and Care Professions Council. When not at work, Gary is often to be found in far-flung countries decked out in kilt and Scotland shirt, as a long-time member of the Tartan Army.